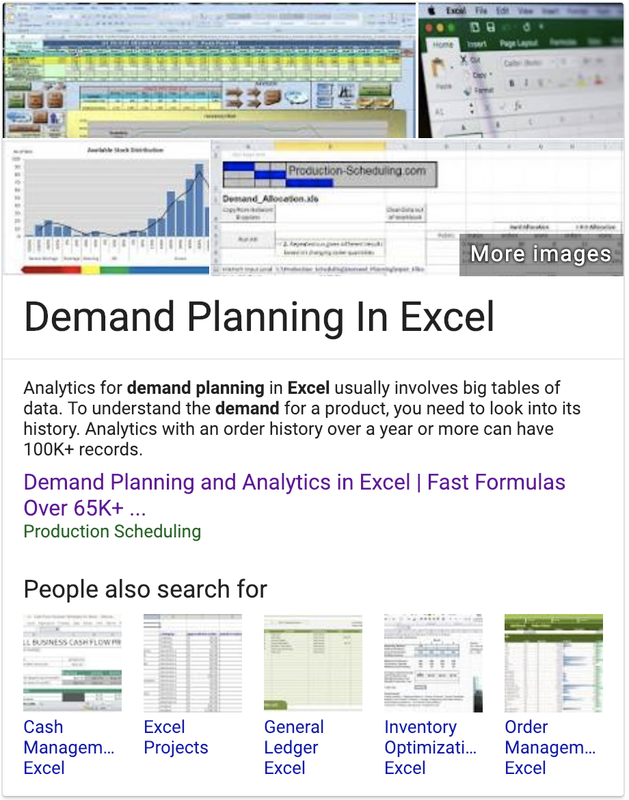 What is the most popular demand planning software? Given how important demand planning is for consumer goods makers, you’d think teams are using really advanced tools for it, right? Especially in consumer electronics, where many of the companies are based in Silicon Valley and are pushing the boundaries of technology in their own products. Late last year, Kristin Markworth, one of Alloy’s strategic advisors, set out to help us research this hypothesis, and the result was surprising, if not unexpected. Kristin is a 20+ year veteran in consumer electronics, and was most recently the VP of Sales and Sales Operations at GoPro, where she had gone on her own journey implementing planning processes and tools. To answer this question, she met with demand planners at a half-dozen consumer electronics companies, from Fortune 100 brands to digital-native upstarts, and heard a consistent story at each. The most popular planning software? Microsoft Excel. And, no one was happy with the tool they were using. Those who relied on Excel were frustrated with the time involved. Those with other tools did not like them, and had either abandoned them altogether or worked primarily outside the tool to analyze the business — often by exporting data to Excel. Several common reasons came up as to why Excel remains the most used software. Some teams or individual team members have a hard time trusting that a tool will produce a more accurate forecast than what they can create in Excel. They look at the tool as a “black box” that takes away the planner’s ability to see the nuances in the data that impact the bigger picture. Because the methodologies used to produce the forecast for planning are unclear, it becomes a challenge for them to explain or determine what happened when actuals inevitably do not match plans. Without this visibility, teams also find it difficult to do scenario analysis. They need to make decisions like whether to change price or cancel a promo, but can only do so if solid scenarios are available. The lack of transparency into the factors behind a forecast thus limit its usefulness. Other teams might want a purpose-built forecasting or planning tool, but simply cannot afford it or justify the expense. Budget is a common reason why companies opt for Excel. A robust planning solution itself can be pricey, but add on the on-boarding and data integration consultants, and you have a whole other level of cost and burden on the company’s resources. Quantifying the ROI of a tool is often difficult and time consuming, making it challenging for teams to justify the expense to management. Say a company wants a tool and has the budget. It should be smooth sailing, right? Consumer goods brands vary greatly with regard to several key factors, including which function owns forecasting and planning, where the necessary data lives and how it’s siloed, what processes are followed (which within a company are constantly morphing or changing), what terminology and KPIs are used and how they’re defined, and of course, how demand changes. All these differences create a lot of frustration for the team trying to implement any new tool. While the software may be built based on best-in-class workflows, it likely still doesn’t match exactly what the company is currently doing. Without proper change management, users will resist changes to existing processes and adoption of the tool will be limited. Finally, even if the initial implementation goes well, other issues may arise as the company grows or changes that can lead to abandonment of a tool. As the business evolves, teams may ask for changes to the tool to continue to meet their needs. These requests can result in costly change orders, which cause many budget owners to take pause. They may decide the added investment isn’t worth it and don’t go through with the changes, leading users to eventually stop using the tool since it no longer serves their needs well. Another reason why teams abandon tools after implementation is the need to have a super user trained on the nuances of the tool. That resource is required to train and onboard new team members and serve as a troubleshooter for the general team because the tool is too technical for a typical user to learn and resolve issues on their own. Having headcount focused heavily on support is often more than companies bargained for, and it’s not always easy to find someone with this skill set outside of IT. Most demand planners we’ve spoken to do want a more accurate forecast and would love to have a tool to help them do that — if it offers good value, allows them to do ad-hoc analysis and scenario analysis, the methodologies used are transparent, and it is simple enough that they don’t need several days of training and a super user to leverage it effectively. We also believe it’s important for software vendors to help provide a reasonable ROI, taking into account the Total Cost of Ownership. Those touting unrealistic levels of forecast improvement do themselves and the planners a disservice. Decision-makers need real examples of how the tool pays for itself in terms of value drivers like inventory savings, capturing of sales opportunities, and reduced loads on existing headcount, not just bold claims of how “black box” artificial intelligence will lead to major leaps in forecast accuracy.